The Law Offices of William C. Ruggiero in Fort Lauderdale, Florida provides sound legal representation to clients in Fort Lauderdale and throughout Florida who have been injured because of the negligence of others in a wide variety of personal injury matters. Our attorneys are Board Certified in Civil Trial Law, and have more than 28 years of combined experience advocating for the rights of the injured and helping clients secure favorable results. We maintain a strong commitment to personal service and attention, carefully selecting the cases we handle so that every client receives our full energy, effort, and resources. Our approach is hands on, working one on one with our clients throughout the legal process and helping them understand their rights and options so that they may make informed decisions to protect their interests. To schedule a free initial consultation today and find out how we can help you, call the Law Offices of William C. Ruggiero. Reputable practice with a demonstrated track record of positive results The attorneys at the Law Offices of William C. Ruggiero are nationally recognized in the Martindale-Hubbell Bar Register of Preeminent Lawyers as AV Preeminent Peer Review Rated by Martindale-Hubbell, a status earned through our: -Reputation Our attorneys are highly respected among their peers and in the community. We are known for working diligently and approaching our clients with a personable attitude. William C. Ruggiero is a board-certified trial attorney who has brought hundreds of cases to trial. Our reputation and credentials are a testament to our skill and ability to provide our clients with effective legal representation and a good experience. -Proven Track Record We have a proven track record of securing positive outcomes for our clients over the course of more than 25 years' combined legal experience, including extensive trial experience. We bring the advantage of our knowledge to every case to ensure that you get the help you deserve. -Tenacity We are aggressive in our representation of our clients. If necessary to help you reach full and fair compensation, we will not hesitate to litigate and go to trial on your behalf. We have a strong sense of justice, and we fight tenaciously for you to obtain a favorable outcome to your case and to better your life. Skilled attorneys dedicated to personal injury matters The Law Offices of William C. Ruggiero skillfully represent clients in a wide variety of personal injury matters. Personal injury In our personal injury practice, we represent those who have been injured because of the negligence of others in matters such as automobile accidents, bicycle accidents, catastrophic injury, dog bites, medical malpractice, motorcycle accidents, pedestrian accidentss, personal injury litigation, personal injury protection litigation, slip-and-falls and wrongful death. For over 24 years, Mr. Ruggiero has been fighting for his clients and protecting their rights to a trial by jury of their peers. 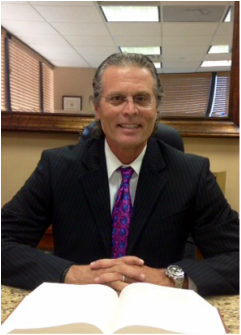 He has tried over 400 jury trials and is one of the most respected litigators in South Florida. -Member, The Association of Trial Lawyers of America. Mr. Ruggiero received his J.D. degree from Nova Southeastern University, where he was a member of the Moot Court Society and Law Review, as well as the recipient of the Book Award in Appellate Practice. Mr. Ruggiero went on to receive an L.L.M in Law at the University of Missouri. He is admitted to practice law in Florida, the Southern District of Florida federal courts, and the United States Supreme Court. Ms. Lagios is a Board Certified Civil Trial Lawyer who has extensive experience representing plaintiffs in personal injury litigation, having handled over seventy-five jury trials, to date. She is a member of the American Board of Trial Advocates (ABOTA), a prestigious national organization that requires its members to be responsible for elevating the standards of integrity, honor, ethics, civility and courtesy in the legal profession. Ms. Lagios graduated with honors from Vanderbilt University, where she received a Bachelors of Science degree and served as captain of the Track & Field team. 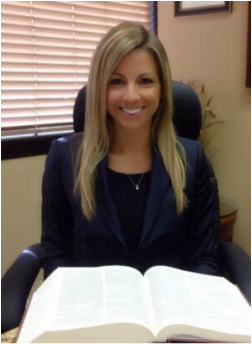 She received her law degree from the University of Miami School of Law, and has been practicing at the Law Offices of William C. Ruggiero since 2008.